Before our Disney trip, we introduced the girls to Beauty and the Beast. Though they’d seen several other Disney princess movies, we’d waited on that one because of potentially scary scenes. It was good timing, and they enjoyed it immensely. Hannah is our emotionally perceptive one, and this is quite evident when watching movies. She gets so into the story and feels things acutely. Watching movies with her is like watching the Final Four with a Jayhawk fan – lots of jumping and yelling and sometimes tears. We comforted her and laughed a bit, then I thought about what she’d said. She didn’t see a weird love story between a girl and a monster, she saw a friendship between two individuals – a real friendship that wasn’t based on appearances and that required patience and compassion to get along. There are scores of articles on the dangers of the “Disney princess culture,” but maybe they are just through the eyes of psychologists. I agree fairy tale plot lines are ridiculous (like pretty much every other movie!). 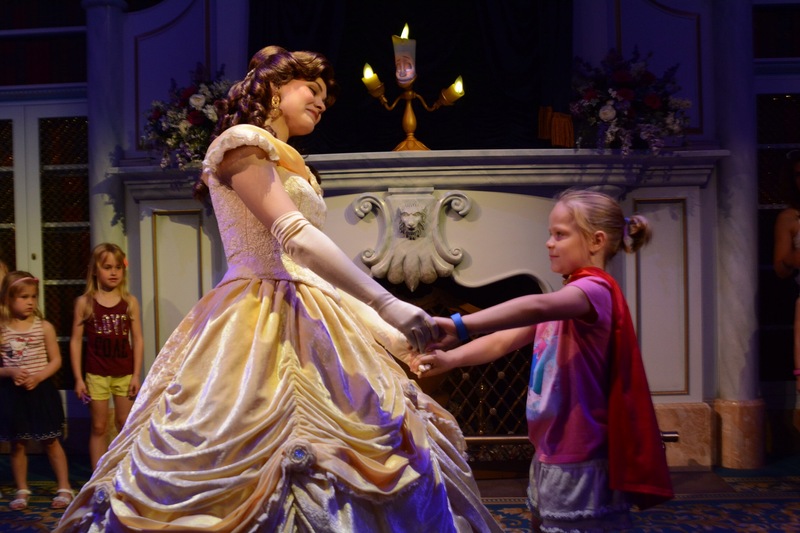 But in the eyes of one of my girls, Beauty and the Beast is a tale of blossoming friendship. And isn’t that the best kind of love story? Six and a half years – my age as a mother. 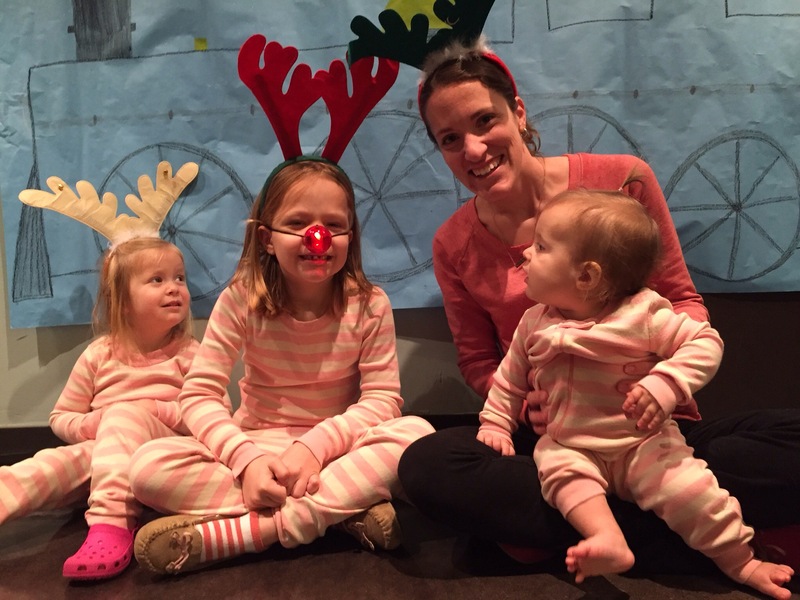 I was once cradling a teeny Hannah in the NICU, and the future seemed so big and far away. Now I’ve got an elementary student, a preschooler, and a toddler. 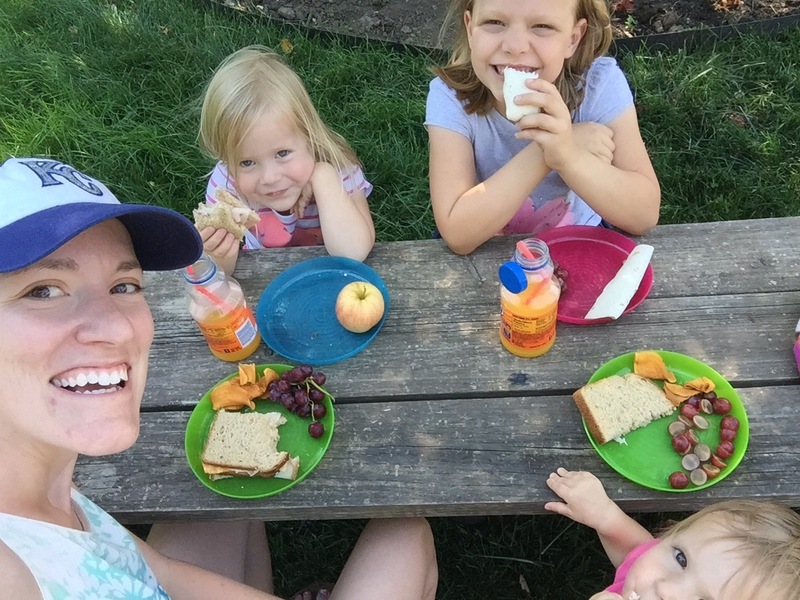 I’ve done the baby thing three times and survived, and now I’ve earned some perspective on parenting that comes with three little people. And it has come in the form of paradoxes. 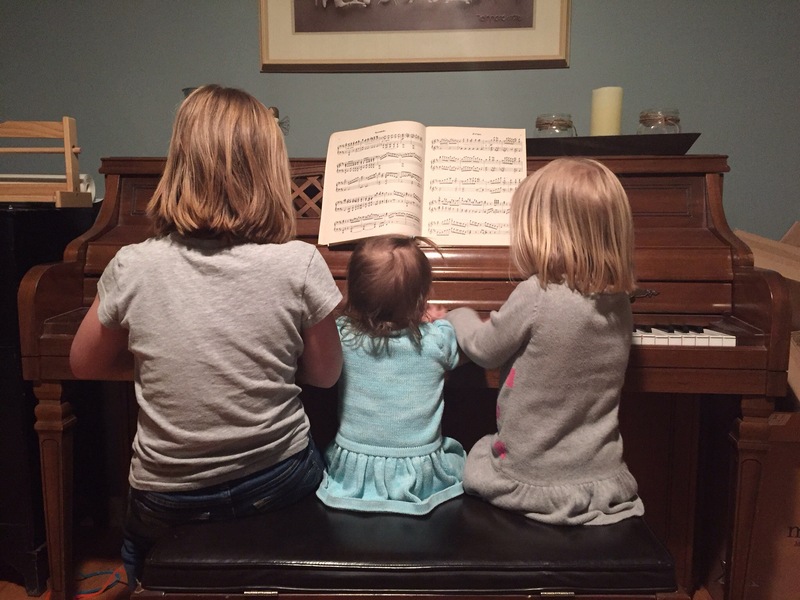 We’ve gotten a few comments about “three girls, all the same,” but this is far from the truth. Sure, they all like to play with baby dolls, but their personalities and preferences, communication and energy levels, strengths and weaknesses are all different. I think this is fun! Sure, it keeps us on our toes and tweaking parenting techniques for each kid. But it is a joy to see each one’s gifts and talents develop. With each addition, it is clear that each one has a special place in our family. When you have one child, it’s hard to picture anything different. And with little to no other experience, it seems easy to tell yourself that your child is so special. Your child is extra sensitive, or your child is so smart, or your child is the most amazing artist, and all these things must mean your child deserves special treatment by the rest of the world. While each child has unique gifts, there is actually very little reason that your child should be treated more specially than another kid. Because children are really more alike than different, and they are far more adaptable and resilient than they are often given credit for. Failure, discomfort, sadness, disappointment, inconvenience. Nobody is a fan. And with our first child, we were under some impression that life could somehow be manipulated so that she wouldn’t have to experience them. But that’s not life. And with multiple children, you would work yourself into a helicoptering frenzy trying to maintain the bubble you feel is necessary. Equipping children from a young age to deal with these things means they’re not that big of a deal. Obviously, this is done in an age-appropriate way, but a realistic life experience helps even small children learn it’s not a big deal. Failure does not have to cripple you, disappointment does not have to consume you, inconvenience is not the end of the world. This also applies to letting go of the ideal. Maybe you can’t afford all organic food, maybe you can’t find a preschool that meets everything on your list, maybe the housework is never caught up, (maybe you want to finish blog posts instead of accidentally emailing drafts to everyone), maybe it’s not that big of a deal. Parenting with a vision – raising independent, responsible adults – is a big deal. While parents are focused on the next milestone and developmental stage, there should really be more focus on the big deal of the big picture. This is tough as life with littles requires so much in the moment as you’re meeting needs and sometimes just want to get through the day. Viewing children as little people who will turn into big people is a big deal, and that perspective was much harder when I had one child. There are a lot of parenting books and arguments about methods and blogs of opinions (hahaha) but these are the things I know for sure. With each child and each week, I am learning! I don’t know it all, but almost seven years into it I know more than I did at one year or three years or five. And that knowledge has come through much failure and some success. I’ve figured out who I am as a mom, and I have a vision for my kids. I realized I have not followed through on a deal that was made two years ago. Please refer to the following screen shot for the details of this agreement. A long time ago, in a city far, far away… My friend Meghan had three kids and realized the cost of a babysitter was getting a little crazy. So she asked me about doing a date night swap. One night a week, after the kids were in bed, we switched off sitting in each other’s houses while the other couple went on a date. This was a great idea! Brett and I have never had regular date nights because a sitter just isn’t in the budget. This was a good solution, and it worked out well until pregnancy exhaustion caught up with me, and I could barely make it past 8:30. 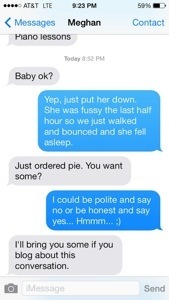 One night when Meghan was on her date, she sent me the pie text. What was I supposed to say? And she did indeed bring me pie. Key lime pie from one of our favorite Austin restaurants. Amazing. So I write about this to be good on our deal. And I want to share the date night swap idea for anyone else looking for babysitter options. This is our first summer as a school-age family, so we’re taking advantage of the extra time together. It’s so much fun to do things with all three girls and not feel like anyone is getting left out. 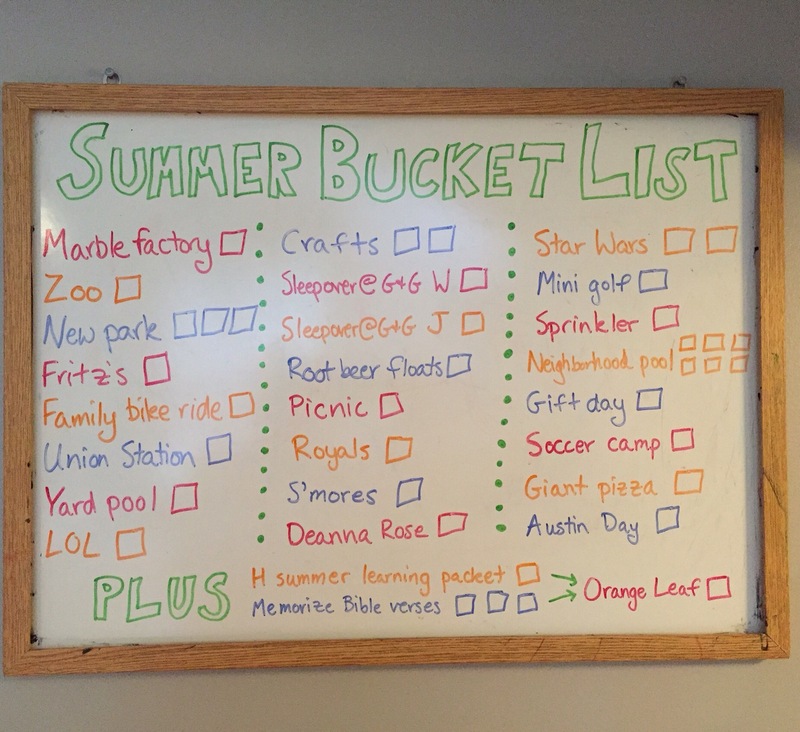 Inspired by my more active friends, I created a summer bucket list. Often I have ideas like “It would be fun to do that sometime…” then I promptly forget whatever it was and continue with my rut routine. This way, we’ve got some visual reminders for the summer. Some are big outings, some are small summer joys. I’ll keep you posted on our bucket list adventures. Summer is here, bring it on!